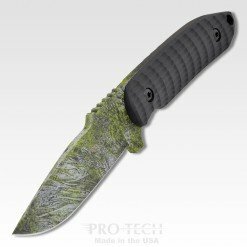 OD Green Cerakote finished blade, BLACK G-10 Handle, Kydex Sheath with G-Clip..
Our ROCKEYE Fixed Blade is an impressive and remarkabley versatile adaptation of the custom Les George Rockeye design. 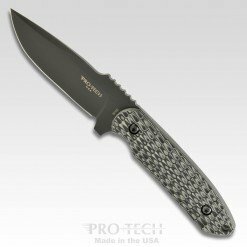 Featuring super tough 52100 tool steel blade, custom textured G-10 scales, and a custom Kydex sheath – it’s a fantastic all around fixed blade knife. Available in a variety of handle and blade configurations. Check with your favorite Pro-Tech dealer to see what might be available. 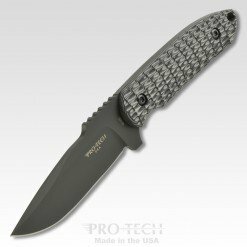 ALL of the new production Rockeye Fixed blades come with the custom kydex sheath! 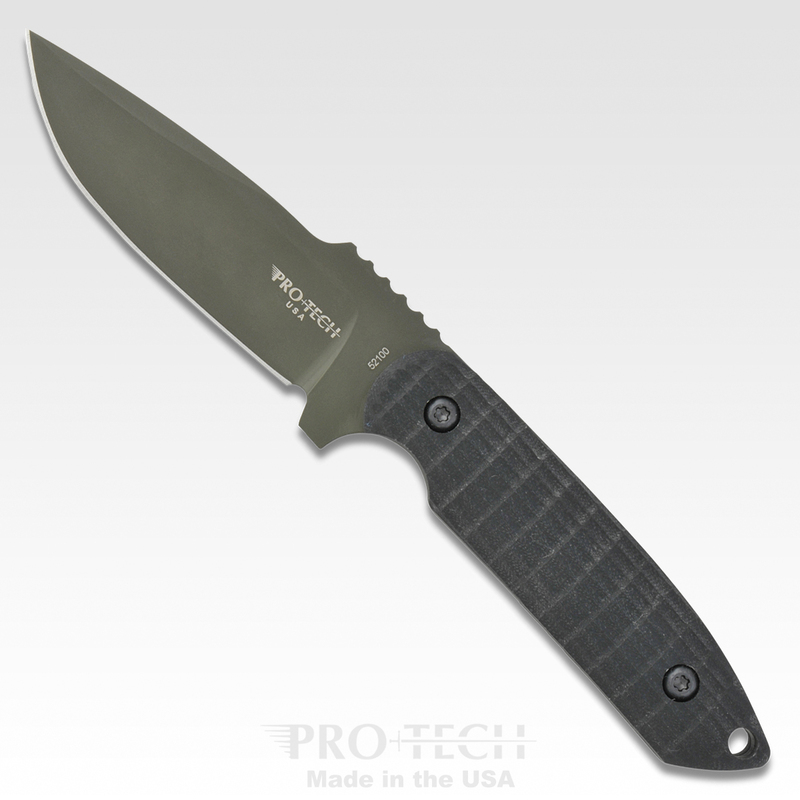 OD Green Cerakote finished blade, BLACK G-10 Handle, Kydex Sheath with G-Clip.